When will Android Q be released and what will be the news and features of the next smartphone of the Google robot? The beta is available for download, but not for everyone. Android Q, the new version of the operating system of Google dedicated to the green robot smartphone, will be presented and released throughout 2019. Its release, scheduled for the coming months of the new year, has already begun to give rise to theories and rumors about the possible novelties and functions that will once again change the world of the mobile market. There are many Android smartphones, between Samsung and Huawei to mention some major manufacturers, used by millions of users every day. 2019 will not be without news in the field of smartphones: from the upcoming 5G advent to devices with a folding screen, it is clear that Google is working to bring a revised and updated version of its operating system to replace Android 9 Pie. Here’s all we know about Android Q so far. The times of the past years have been confirmed and we have seen a beta version of Android Q for developers starting from March 2019 but currently available only for Google Pixels 2. However, this allows us to take a look at the new features and the likely appearance which will characterize the new operating system starting from the next few months. The last time Google announced a new version of Android before August 6th was on the occasion of Android Jelly Bean: for Android Q you can expect the same type of treatment. As was the case for 9 Pie, therefore, the end of summer seems to be the most papal period for the debut of the new operating system developed by the Mountain View technicians. What will Android Q really be called? It is no secret that Android operating systems take their name from sweets: after having had Android 8 Oreo and Android 9 Pie in recent years, what will the Q contained in the name of Google’s new mobile OS stand for? Trying to imagine the possible new name of the operating system is really complicated: many people suggest terms like Quinoa Pudding, Quenelle Queen of Puddings, which could be reduced to an elegant Android Queen. To be honest, none of the possible options hypothesized with the letter Q sound particularly appealing and we cannot exclude a possible break from Google of the confectionery tradition, opening up to a new course. The new features of Android Q are still a mystery but thanks to beta it is already possible to get an idea. The latest news about a new feature similar to the iPhone 3D Touch: the news comes from Andorid Police and refers to the wording found by the leakers called DEEP_PRESS. Exactly as it already happens on iOS, through a prolonged pressure on the screen by the user it will be possible to activate different options, even if it is not clear how it will be implemented in the different models of smartphones on the market (having, like on iPhone, to rely on specific components that allow you to take advantage of the three-dimensional touch). Privacy and security will be greatly implemented by Google, with a new area completely closed to any external application. Geolocation has also been improved with new restrictions for apps that keep track of the users’ position, with constant fighting even for phishers and theft of personal data and information. Connectivity will see a significant improvement with regard to all the tools related to the Smart Home. An important Antispam function is also introduced to more easily identify calls from unknown contacts, going to weave telephone numbers directly to profiles on social networks like Facebook. Surely we will see a new user interface, redesigned taking into account the arrival of the new folding smartphones, which could implement Android Q natively. The major and most obvious update will be the new gesture controls, potentially improved and more intuitive in Android Q. Recently, in the second version of the Beta, the Bubbles feature was introduced: this allows you to successfully exploit a multitasking activity in a similar way to what was done by apps like Messenger, through small pop-up windows that appear overlay while another application is open. While in current smartphones it is possible to get to use two windows at the same time, some layouts arrived online assume a use up to three windows at the same time, allowing the use of three applications thanks to a Multi-Resume function (particularly relevant in view of smartphones folding). To this, Android smartphone manufacturers will necessarily have to accompany a hardware compartment superior to that already available today (which reaches up to 10 GB of RAM). The useful Dark Mode will also be present, to protect the view and save the device battery. 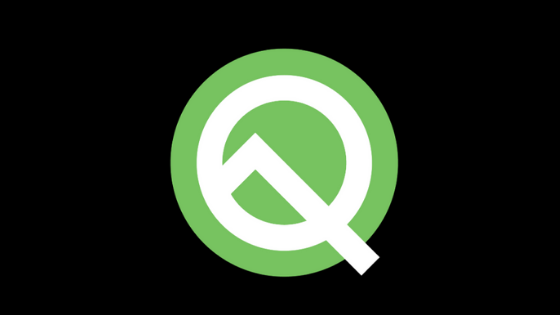 Not that Android Q will represent a total revolution with respect to Pie, indeed it is more likely that the new work system will work to significantly improve what has already been done by the latest version of the green robot. More details will emerge in the coming months, and it is obvious to expect really interesting news. It is not entirely clear which models will be involved in the launch of Android Q and which will be able to install the new Google mobile OS: top-of-the-range models will almost certainly receive the update, but many smartphones currently on the crest of the wave could remain mouthful dry.